US industrial designer. William Goldsmith was born in Rochester, NY and graduated from Carnegie Institute of Technology in 1939 with a BFA degree in Industrial Design. He served in the US Army during WW II from 1942 to 1946. After the war, he joined the well-known Chicago firm of Dave Chapman, Inc., becoming a partner of the firm in 1951, Executive Vice President when Chapman (1909-1978) reorganized it in 1955 as Dave Chapman, Goldsmith & Yamasaki Inc., and President in 1966. Goldsmith became founder and Chairman of the Board of Goldsmith Yamasaki Specht, Inc. when the firm was reorganized in 1970. From 1955, Goldsmith was also Vice President of Design Research, Inc., a subsidiary company organized for long-range planning for clients. 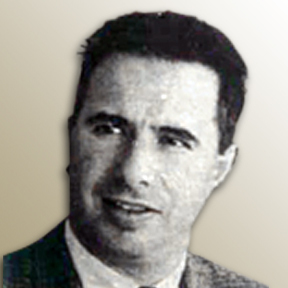 From 1955 to 1957, Goldsmith headed the US technical assistance team in Pakistan and Afganistan, and was a co-chair of the American Design Bicentennial, Inc. in 1976. Goldsmith became an early member of the Society of Industrial Design (SID), later the American Society of Industrial Designers (ASID). He became ASID's President in 1957 and a Fellow of the Society. He became President of IDSA from 1971 to 1972, Chairman of the Board from 1973 to 1974, and received the Society's coveted Personal Recognition Award in 1980 for his long service to IDSA. He was also a member and Fellow of the Society of Typographic Arts (STA), its Secretary 1981-1982, and a Vice President in 1984. Goldsmith also was a member and Director of the Package Designers Council (PDC), the American Institute of Graphic Arts, and the Chicago Council of Foreign Relations.